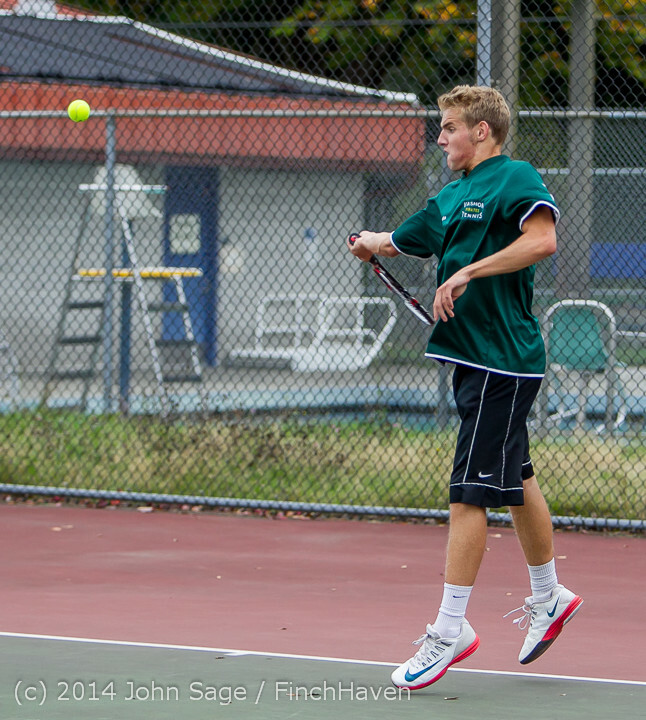 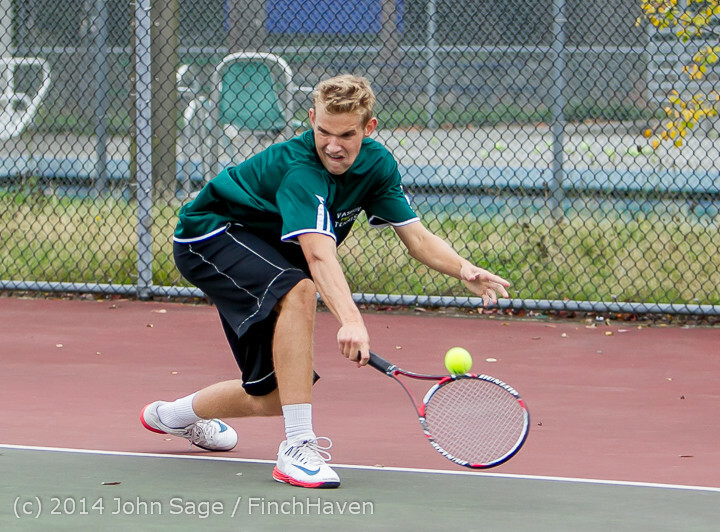 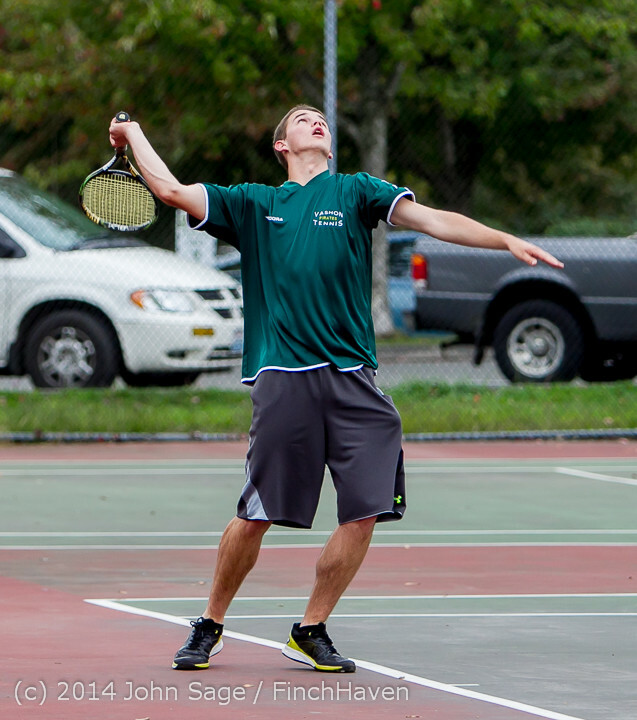 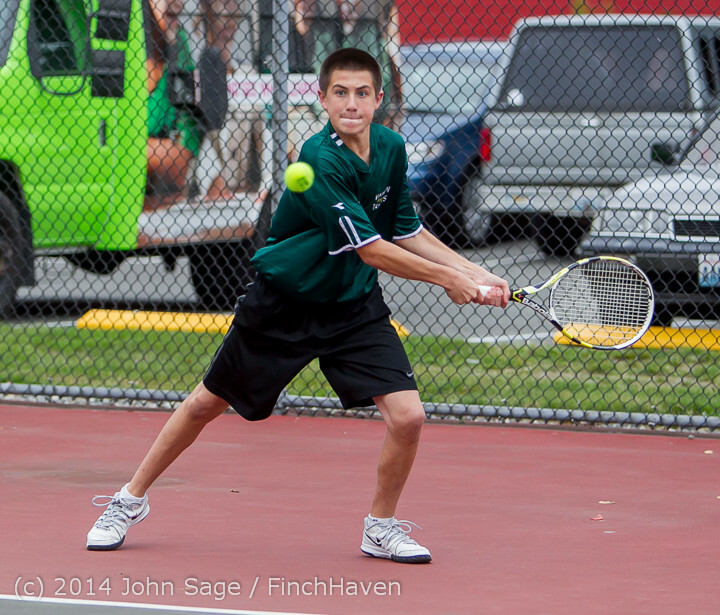 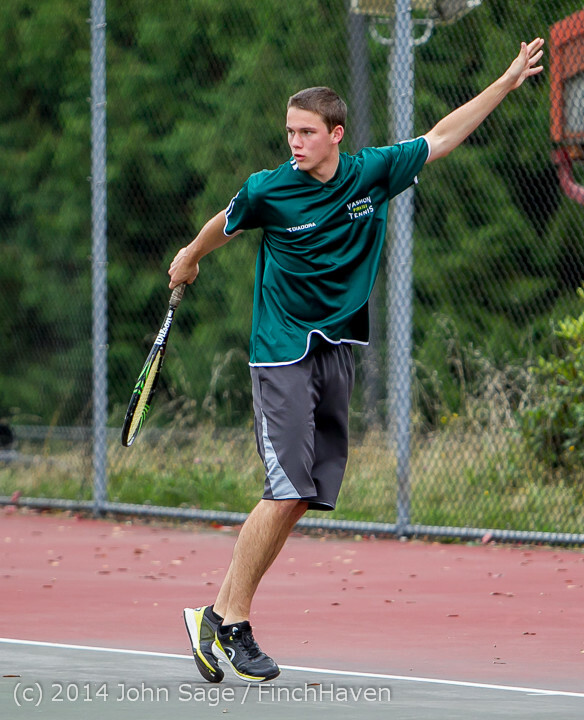 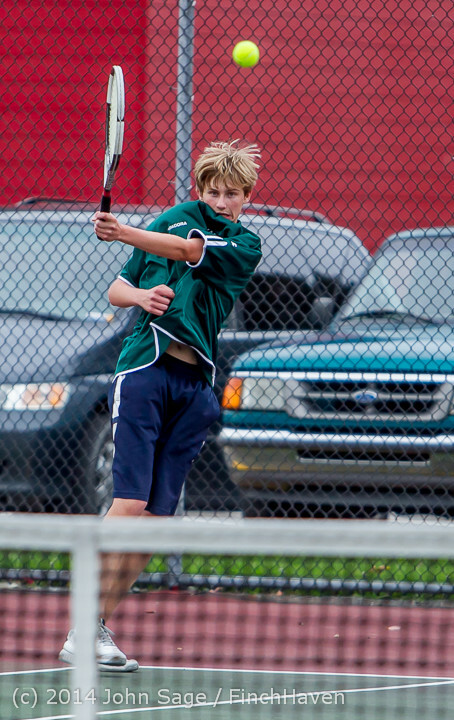 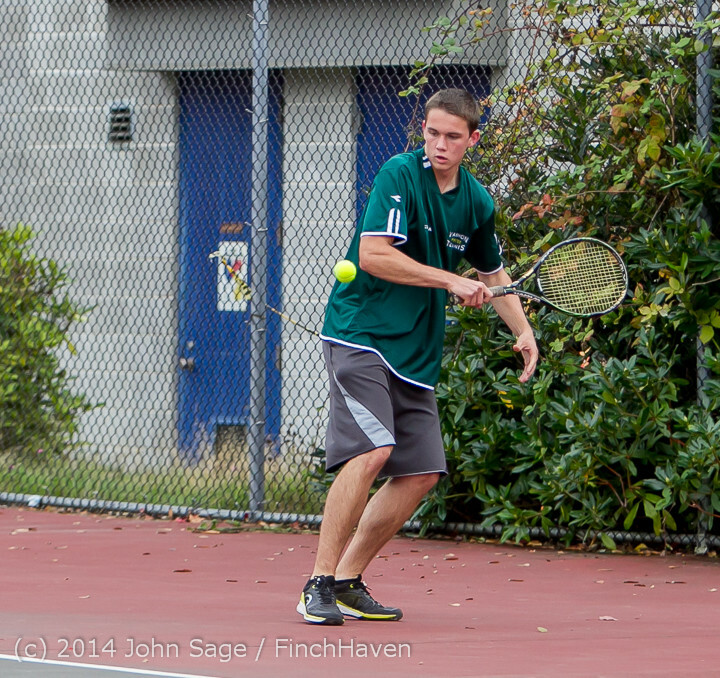 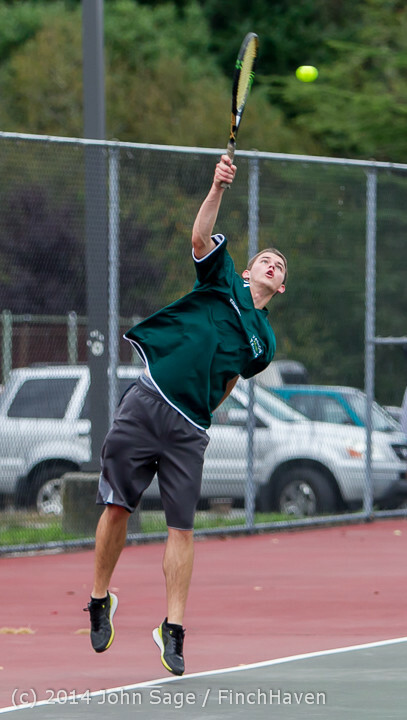 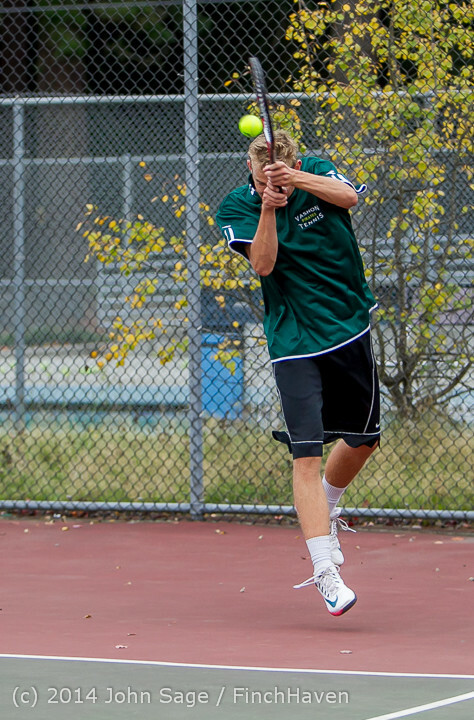 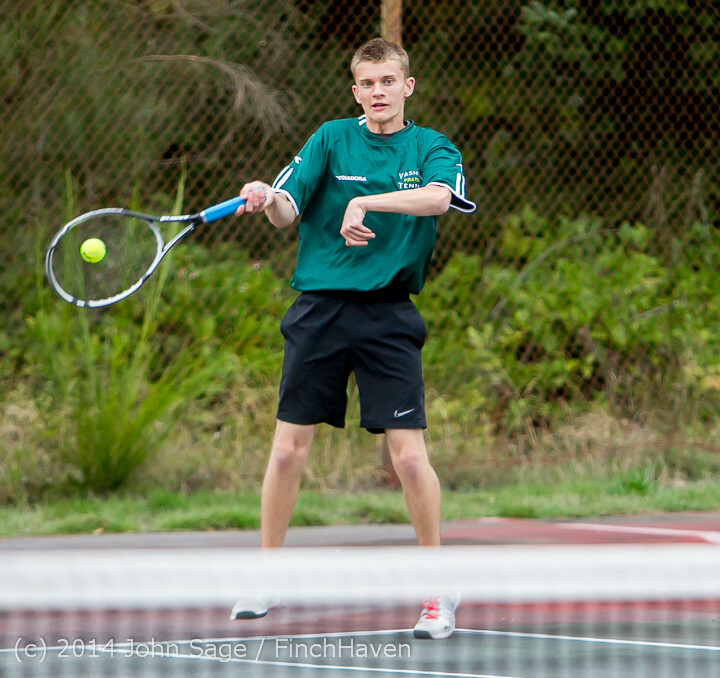 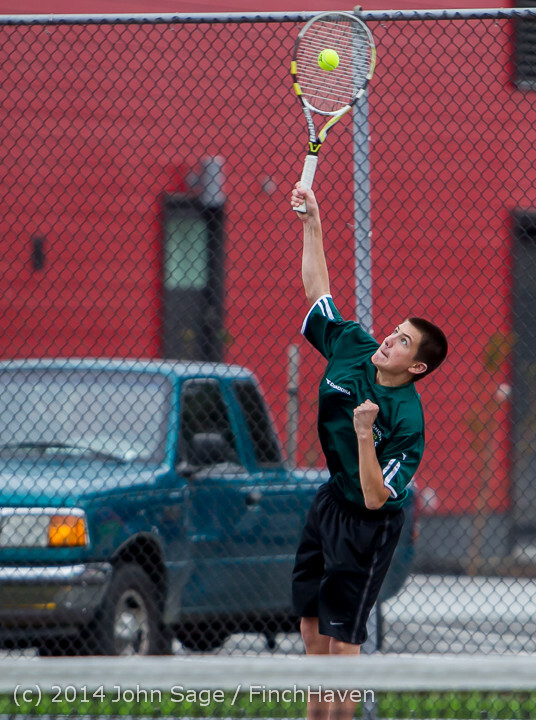 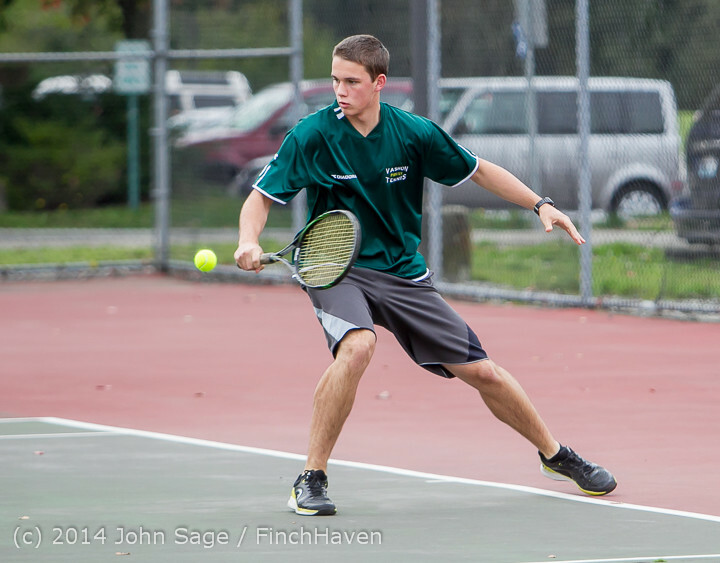 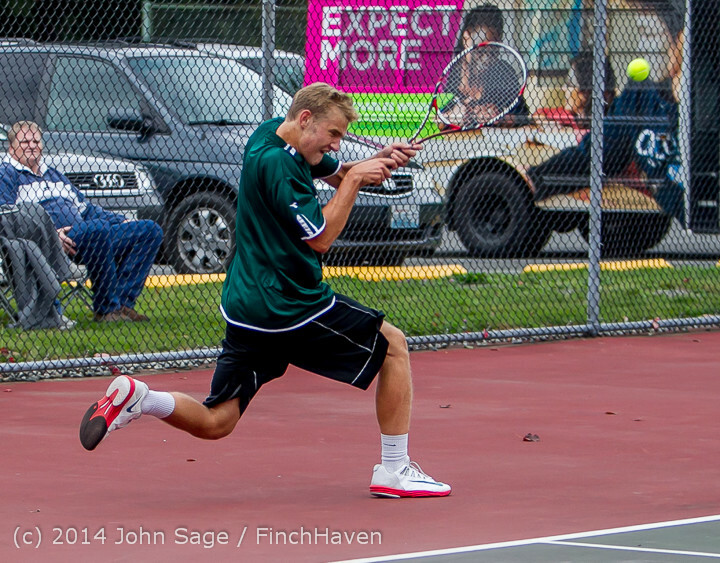 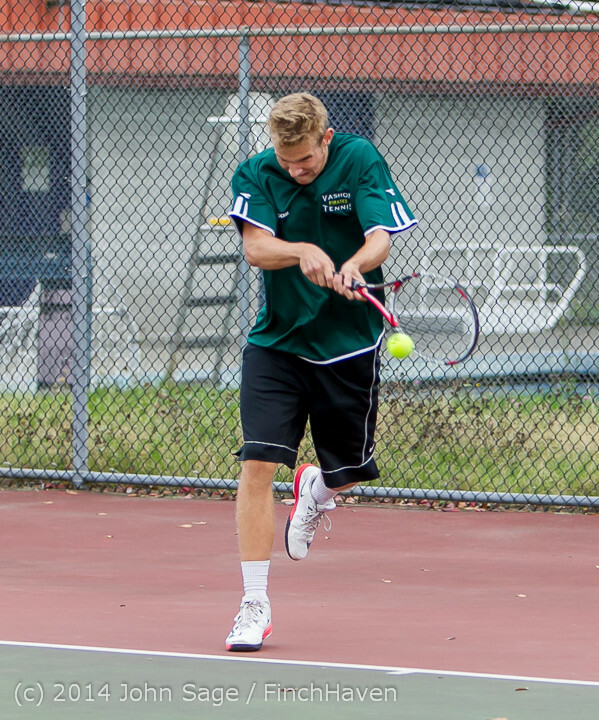 Tennis is pretty awkward to shoot at Vashon Island High School. 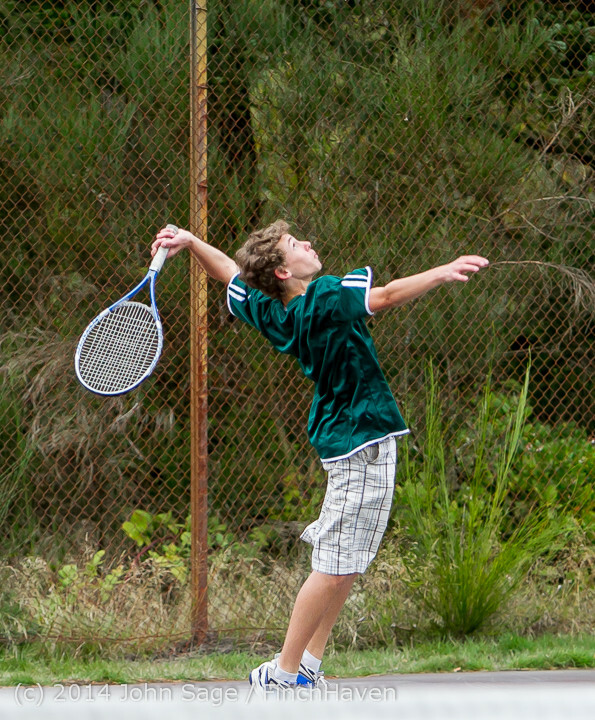 The two groups of three courts are closely surrounded by fencing with mesh that's too tight to shoot through, so I'm pretty much limited to shooting inside the fences. 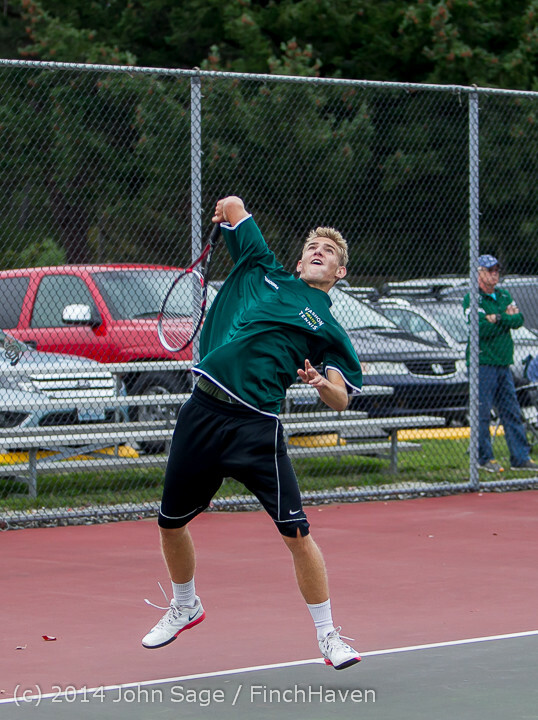 Except that for courts three-four-five I can only get at one end anyway. 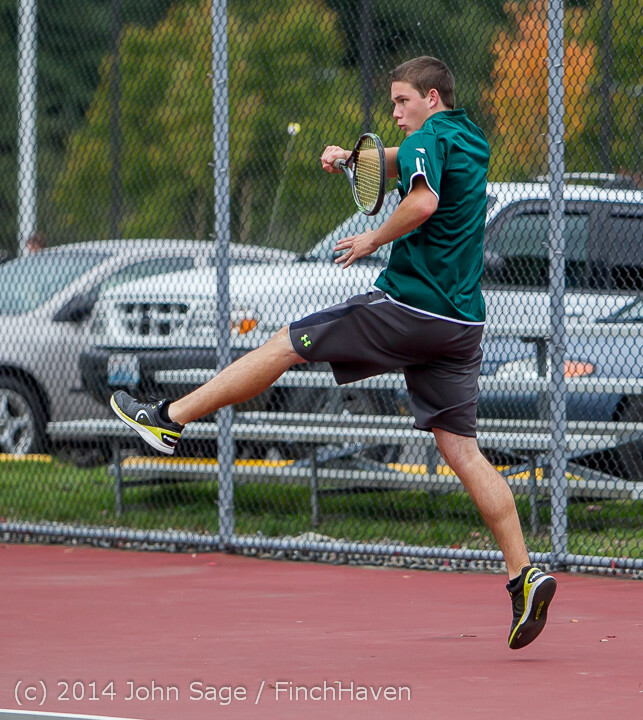 And except that because it's tennis, I can't just walk around anywhere any time I want to. 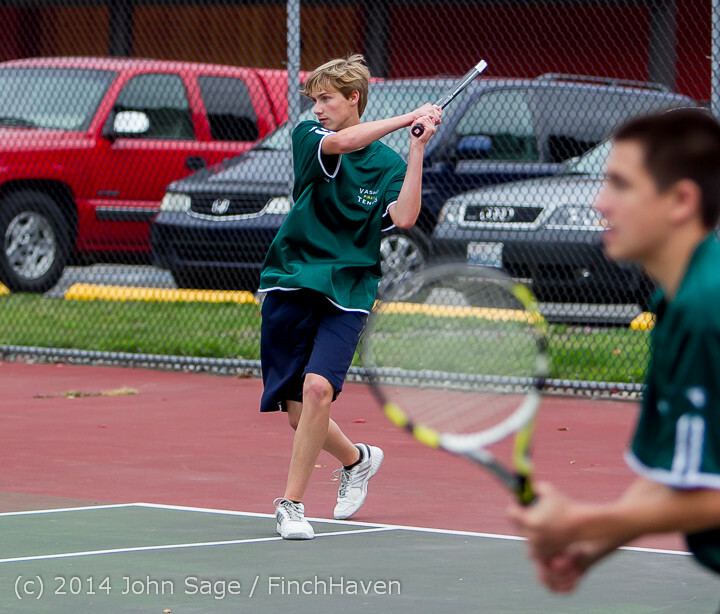 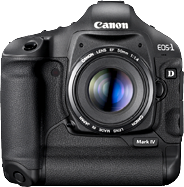 So I'm often shooting across a match right in front of me to get shots of a match behind.